Invest, collect, wear, be rewarded: these are the first principles of intelligent shoe buying as far as Chris and Nick Schaerf are concerned, although let it be emphasised, they are not talking about any old shoes. The Schaerfs opened Double Monk, selling premium footwear and a curated selection of accessories, in Melbourne’s Fitzroy almost three years ago. The shoe-loving brothers figured the Australian market was ready for the likes of English makers such as the fifth-generation Crockett & Jones, plus John Lobb, Edward Green, George Cleverley, and America’s oldest shoemaker Alden, inventor of the tassled loafer and Indy boot. It took the establishment brands some convincing to apportion some of their already-limited run productions to Australia, but not nowadays. 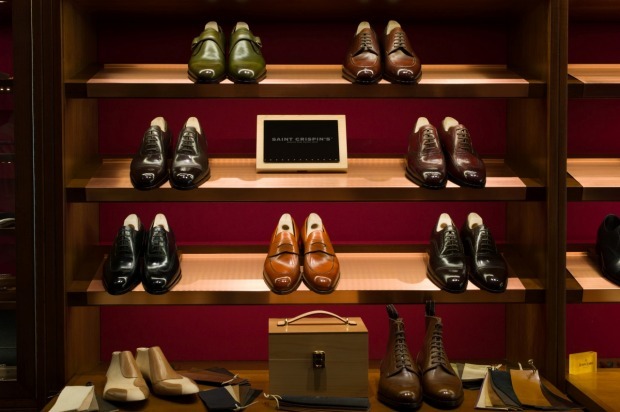 A second Double Monk opens in early December in Sydney’s Strand Arcade, offering more men access to $2000 shoes that take about as long as a European sports car to make. 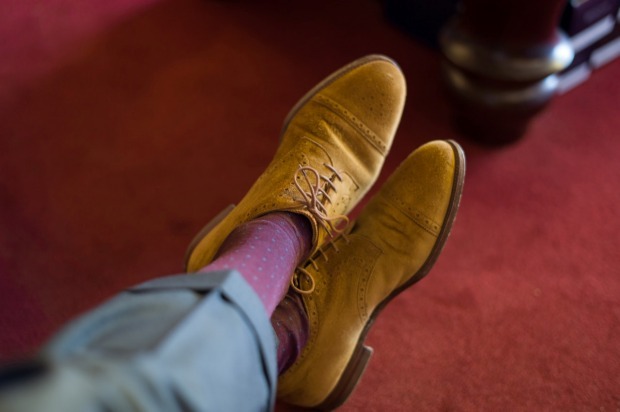 “We’ve always been passionate about good shoes,” says Chris, a solicitor who left the law to run the business. He has 20 pairs on regular rotation while Nick, a doctor, has twice that. Saint Crispin’s hand-welted shoes from Austria are sold through Double Monk in Melbourne and Sydney and cost upwards of $1800 a pair. 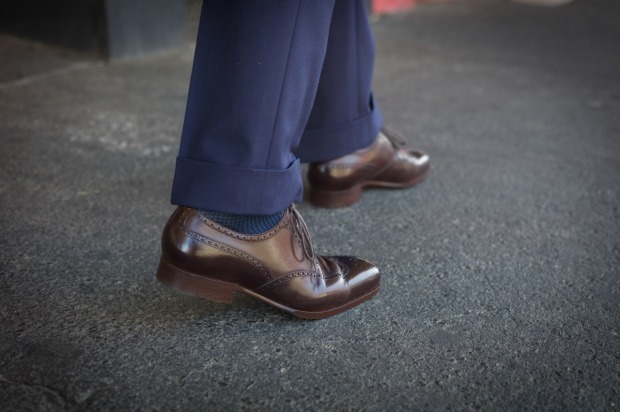 On Friday (November 13) and Saturday the store is hosting its first trunk show with the Austrian shoemaker Saint Crispins at The Four Seasons in Sydney. Saint Crispin’s are hand welted shoes and cost from $1895. Saint Crispin’s owner Phillip Car has flown in from Austria to offer customers the brand’s last-adjustment service, which involves advising on adjustments to Saint Crispin’s existing model lasts, allowing an optimal fit. Saint Crispin’s hand-welted shoes from Austria. Chris Schaerf says shoes at the pointy end of the quality and price scale improve with age if properly cared for. “It’s a point of differentiation; the leather develops a beautiful patina and a depth of colour.” He sells Saphir French shoe care products, tree-shoes and shoe horns to prolong their life. The brothers’ attention to detail doesn’t stop at the feet. They sell silk neckties, socks and pockets squares from Tie Your Tie in Florence, bouttonnieres from Japan, and umbrellas by Fox in England. And women aren’t entirely left out of the world of Goodyear welting and hand-stitching. Chris says he sells quite a few size five Crockett & Jones men’s dress shoes to women and plans to begin importing its women’s range. Step on it, we say. High-end men’s footwear has become less of a luxury and more of a wardrobe essential.